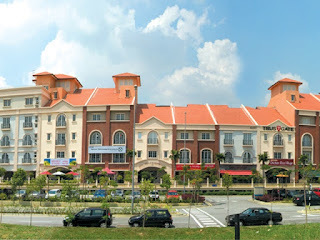 CBD Perdana 1, the first premier signature retail and corporate offices within the central business district of Cyberjaya, CBD Perdana is home to many enterprises with Information Communications Technology (ICT) as the core of their businesses. Boasting a smart business environment that provides an impressive corporate address for progressive entrepreneurs, CBD Perdana comes in four blocks of three, four and five-storey buildings comprising a total of 32 Signature Retail Outlets and 92 Corporate Office Suites. The Signature Retail Outlets range from 1,526 sq. ft. to 1,760 sq. ft. whereas the Corporate Office Suites range from 1,743 sq. ft. to 2,760 sq. ft.